I have talked about a lot regarding training and development, in my previous blog posts, both in educational and professional context. Many of people’s responses made me encounter a question that is there any difference between learning and training. In the light of my experiences and the research I have been sharing with you since long, the answer is “yes”. However, the very same training experience might be training for someone and learning for the others. Training is done to someone, who is put through training. Learning is something that learner desires, sees and needs an immediate application for. The basis is ownership. If it is just owned by the business or company, it is just a pure training. But if it is owned by the employees, the motivation is internal rather external. Eventually, this becomes a question of motivation, and the duty to frame this motivational question is on the business or an organization. It is important to know the difference between learning and training, whether you are conducting a traditional ILT course or MOOCs. No doubt, both the concepts are inextricably joined, but they are distinctive aspects of an educational process. 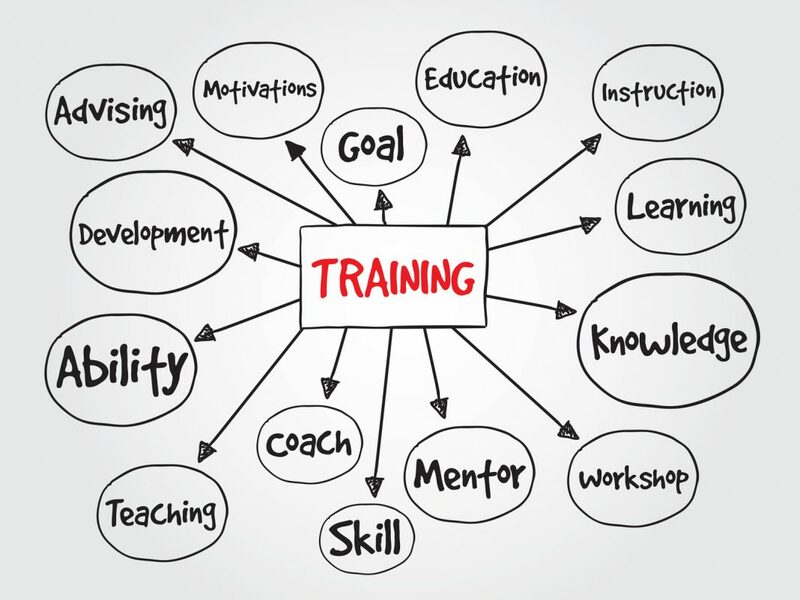 Training is the provision of knowledge and information through speech, written words or other kinds of demonstration in a way that instructs the learner. Learning is the process of engrossing the information in order to enhance the skills and abilities and make use of it under various contexts. Whatever the objectives are, the quality of the learning would greatly rely on the quality of training, and so the role played by the trainer is important as it can have a big impact on the result of a course for a learner. This makes the basis to understand relevancy of learning and relevancy of training in a corporate executive training. Let’s look at the traits of each and discover what makes an e-learning setting work. As I discussed earlier, learning is the process of taking information and retaining it with the aim of increasing abilities for achieving goals, but it’s something more than that. Learning is what a learner goes through when he wants to be equipped with unexpected and unusual situations and the two are not mutually exclusive. When you learn to do something specific, you are also unintentionally equipped with the skills and knowledge to face potential challenges. In essence, relevancy of learning at a workplace is about equipping a person to face not just current issues, but preparing to creatively coming up with approaches to face tomorrow’s issues as well. Training relevancy focuses more on the development of some new skills that would be utilized. Training is the process every new employee passes through when becoming a part of the organization to learn to execute day to day operations, know the functioning of department and the way job specific tools are operated in order to fulfill responsibilities. In essence, through training relevancy, we don’t look to reshape the employees’ behavior rather the point is to teach them how things are carried out in an effective and proper way, so that they can carry out the processes at their own. Ideally, both learning and training relevancies are utilized in e-learning contexts, throughout its curriculum. This enables the trainers or instructors to give their learners with the ways to tackle issues, develop long term skills, enhance problem solving skills and use resources to the fullest. The role played by corporate training ensures employees having the skills and knowledge of a specific operation to make an organization able to continue operation. Fundamentally, the corporate training is based on knowledge transfer. For example, workshops and conferences are an important yet costly part of business, which e-learning makes efficient and affordable-salespeople, for example, can get their training on new online sales strategies and new products. E-learning can result in lower cost to provide training in a shorter time span, in particular, when employees are present worldwide. MOOCs become ideal to introduce in traditional ILT structure, in such situations. Along with cost savings, these provide the benefit of getting a blend of both learning and training relevancies. In addition, personalized learning, which is learning for tailored pedagogy, learning environments and curriculum, also meets the needs and aspiration of employees’ learning needs. The inclusion of gamification, which is the use of game based mechanics in a non game based context for engaging users to solve problems, is another great addition in training and development relevancies list. In a nut shell, we can say that learning and training are two different concepts, but interlinked enough to impact the practices and outcomes of each other. Corporate executive training employs both of these for employees’ career growth and enhanced performance. Next articleWhat Are Your Training Metrics Actually Measuring?